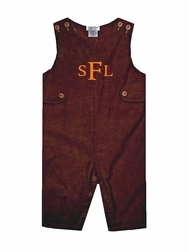 For our custom made tab John Johns and longalls, you choose your fabric, type and color buttons and monogram. They are made with a round neck with covered or plastic buttons on the shoulders. 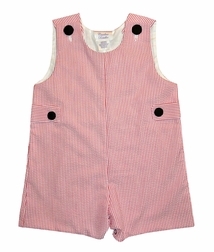 Sizes 12m to 2t have snaps in the crotch for ease of diapering. Monogram the chest for a pop of color and that classic look.